Lyle and Sugar are now officially on my list of favorite Stark couples!! Both have past's which influence their choices (not in a good way). Lyle the sweet star who no one know's blames himself for things he couldn't control. Sugar, losing her family and gaining strength to carry on. Seeing the two of them work through their issues while falling in love hooks you in from start to finish. I'm shocked by how J. Kenner can bring to life Lyle and Sugar in such a way you are cheering for them and want to slap them at the same time. Another HUGE success for J. Kenner. Amazing book which I couldn't put down and had to re-read once I finished. I great story about a secomd chance. Nice to read. J. Kenner is truly an artist of the written word. If you are a lover of the Stark Series, get ready to dive into Wyatt's story. The elusive mysterious photographer. If you haven't read them, don't worry! You can still read this as a standalone. J. Kenner is truly an artist of the written word. The blank page is her canvas and the words are her paint. She never fails to leave me in awe of how she can create such a beautiful masterpiece. She always captivates me with her stories overflowing with intrigue, suspense and emotion. Her writing is engaging, a little bit unique and deeply thoughtful. For this book, I found that it lacked the usual intense heat I have come to expect. 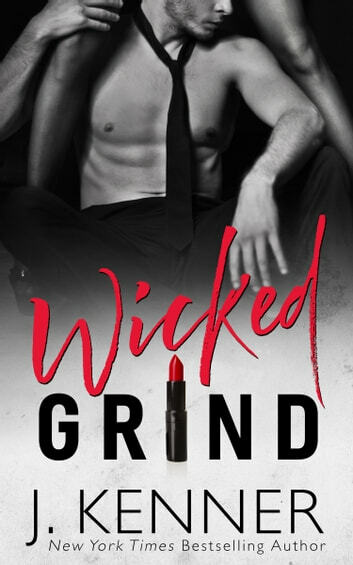 Based on the blurb I was expecting more naughty things, but his one was more of a slow burn. Of course she delivered in the end and ignited a decent sized fire, but I was getting a little desperate and antsy the way she was making me wait for it. I felt the ending was a little rushed and I felt like Kelsey and Wyatt still had places to go. I'd be happy to see an encore from them! WOW!!! Simply WOW! I am rarely left without words but this book really shook me to the core. As this is a J. Kenner book, so of course I was expecting an incredible story. But Wicked Grind is so much more than that. It is a story about second chances, about survival and fighting for the things you dream about. It is about love and it's ability to give you enough strength to break the chains that keep you locked in into a mental cage of someone else's doing. It is about finding that person that makes you feel free and complete. For me, this was mostly a very emotional book. Don't get me wrong, there are quite a few hot scenes, and there is romance and heartbreak. But it is simply so much more than that. Through her whole life, Kelsey had to live with the mental abuse from a person who should have protected her. Instead, he made her pay for someone else's mistakes. With each hateful and degrading word, the cage around her was getting stronger and stronger. Until she believed that if she enjoyed life, she will ruin the people around her. Until she met Wyatt during a summer vacation. He showed her what it means to be free and to enjoy the small things in life. But then a tragedy struck and Kelsey lost herself again. Once Kelsey and Wyatt meet again 12 years later, they both carry the hurt and pain from the past. Each one of them has lived through their own tragedies and that made them close the world off. But with every second spend together, they find out that their past cannot be buried and their connection is too strong to be ignored. Of course, Kelsey and Wyatt's path is not easy but they find the way to each other's hearts again. To be honest, I am usually more of a fan of the male characters in books. And don't get me wrong, Wyatt is delicious and definitely worth it of some drooling. But Kelsey was simply extraordinary. She is strong and sensual, even if she doesn't realise it in the beginning. Living through the nightmare she lived through as a kid with all the blame she puts on herself and the verbal abuse in her everyday life, she still tries to break the figurative cage she was put into. I can honestly say that I admire her. Because her will for survival and saving her tender heart from disintegrating is simply something extraordinary. I think this is one of my favorite J. Kenner books and I definitely recommend it. In my opinion, this is a book that everyone should read. But do keep in mind that this is not a lighthearted read. It will definitely ground and make you think about the important things in life. Make you appreciate them even more. So don't waste your time and pick up your copy now. This review was originally posted at Living In Our Own Story Book Blog. I received an ARC of the book in exchange of an honest review. Lief en romantisch, minder 'stout' dan de andere boeken.